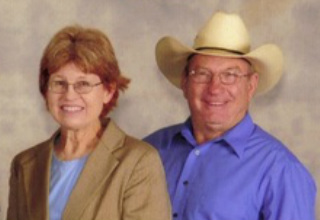 Dan & Kathy Marcum operate All Around Training Center in Kirbyville Texas. A native of Idaho, Dan moved south in the early eighties and began working for Herman Brackin, a longtime Quarter Horse/Paint breeder in Kirbyville, Texas. For the next several years he moved around in the Southeast Texas, Southwest Louisiana area working for a variety of horse people, including Paul Kauthen, a German Dressage trainer. In 1989 he purchased property from Herman Brackin and began establishing his own business. Dan Marcum has built a reputation as an honest, hard working trainer, especially with problem horses. Kathy, born and raised in Texas, has loved horses all her life and for many years worked with Arabians at Plum Nearly Ranch in Beaumont. Dan & Kathy married in 1991, and have worked very hard to make All Around Training Center a place where people want to bring their horses and their families. Dan's daughter, Annie Wiggins works as Assistant Trainer. As the name implies, they do not specialize in just one breed or discipline. Versatility is the name of the game! Whether a horse comes to ATC as a potential show horse or pleasure trail riding horse, the Marcums strive to establish a solid, dressage based foundation to produce a willing, safe horse that the owners can enjoy. Over the years Dan has shown everything from Combined Training and Dressage to Working Cow Horse. Annie began riding at an early age, hitting the show ring by age 9. She and her brothers and sister worked in their dad's barn after school as they were growing up. Most weekends would find them at open shows or maybe a rodeo queen contest for the girls or some other horse related activity. After high school Annie married Jimmie Wiggins and took a short hiatus from horses to have a daughter Rayni Jordan Wiggins. Now Annie works full time for her dad & Kathy as Assistant Trainer and Rayni is right in there too! 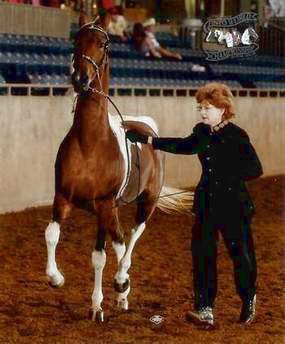 Rayni has entered the show ring even earlier than Mom, beginning on Sassey Sunday, the same Half Arab mare Annie showed as a girl. In June 08, at eleven years old, Rayni won a World Championship of her own in Western Pleasure aboard her mare "Oshquahs Bonni Lass." 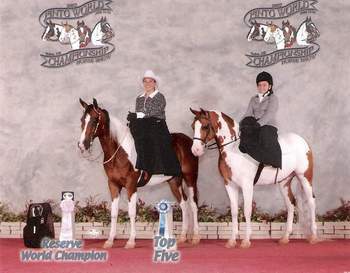 Annie has an impressive show record herself with countless wins at local shows and World Championships from the World Pinto Show.